Recently I got quite cross… I do occasionally get cross, not normally in public and certainly not with friends. But I do, usually with bureaucracy, call centre workers, the doctor’s receptionist, injustice and my kids and husband. So there you have it I was cross. The reason? An adult in a position of responsibility told my eldest child that Santa Claus did not exist. Actually it was worse than that, that person assumed my son was too old to believe in Santa, asked him to confirm that he knew Santa was not real in public (thereby forcing him to pretend he knew Santa was a myth when actually he did still mostly believe) and then carried on to debunk the white bearded old man. My eldest is 11. He is still in Primary School. He was starting to have doubts I know. But I am an excellent liar and so thought we had perhaps headed things off at the pass for another year. Moreover my eldest has younger siblings who also still believe (and quite rightly so). Now he is saddled with not only the sadness of ‘the truth’ but also the responsibility of ‘not saying anything’. I know this might be quite controversial but I think the realisation that Santa, tooth fairies, the characters at Disney World et al are not real should dawn gradually in a child’s mind. Over a period. It is a thing best left unspoken. A child can then chose to carry on believing and enjoying the rituals and excitement whilst really ‘knowing’ the truth. Certainly as an older child with a much younger sibling I was able to participate in Christmas stockings until I left home so keeping the magic alive for my brother. Finding out that Santa is not real is not like learning the facts of life or understanding stranger danger. Children do not need to be sat down and have it all explained to them by a certain age in case leaving them in the dark leads to a parallel problem along the lines of an unwanted pregnancy or exploitation. No harm can come from allowing a child to believe longer than is considered the ‘norm’. Yes peer pressure plays its part. However having a fellow 11 year old spout ‘fact’ is completely different to having an adult confirm it to you. I like make believe – I role play, I like Tolkein, I like to immerse myself in other worldliness. 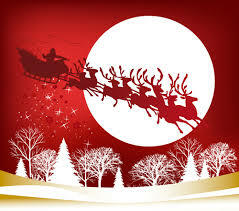 Santa and his mates are similar phenomena for children. What is life without a bit of make believe? Magic? Fairy dust? So after I had consoled eldest we agreed that in our house believing is allowed, encouraged and actively embraced. Even after logic wins out. I am happy to sit up late on Christmas Eve for as long as they want me to. Childhood is short, and getting shorter, and I am not at all in favour of that. Ouch ! I think that unthinking adult needs a visit from the bad tooth fairy. The bad tooth fairy is not a pleasant fairy – batwings and B.O. But that’s only karma for the pain and discomfort that the bad tooth fairy delights in bringing. I’m am going to wish hard on your behalf that the bad tooth fairy visits this unthinking adult. Perhaps everyone else will too…. I’m personally uncomfortable with the whole lying to children thing involved in Father Christmas (and any other supernatural things being presented as facts) but this person was clearly being a total asshat. If I’m ever questioned about by a child (of any age!) my standard response is to say “what do you think?” in a tone that encourages them to be excited about the idea, regardless of their belief or otherwise. One child I know quite well (an almost frighteningly bright and insightful 4-year-old, the son of some good friends) seems quite happy in his disbelief already. Presumably because they’ve chosen to neither confirm or deny the stories. He also, like his parents, loves fantasy stories (his favourite may be Disney’s Frozen), but he seems to already have a fairly good grasp of the difference between fact and fiction. This doesn’t seem to diminish his delight in and excitement about Christmas in the slightest. Having said that, his mother is at pains to teach him to be tactful when he interacts with his believing peers at nursery (and soon at school). I guess we’ll see how it all works out in the future! My point, which got lost somewhere, was that I agree with you Sarah about there not being a a set age for belief/disbelief (older than the norm is fine, as is younger), and that the child’s own realisation feels like the best ways for deal with the issue. Sudden ‘revelation’ feels spiteful at any age. I suppose my main point is that it was not this person’s place to make that decision for my son or my family. Whether they believe that keeping the concept of Santa alive is lying or not. And also, quite selfishly, being Santa for me is one of the unbridled joys of parenthood. A lot of parenting is a long hard slog with little reward on a daily basis, which only gets worse as they grow up and stop the hand holding and displays of affection. So yes giving that magic and pleasure to my children is important to me too. No one else has the right to decide that I should stop ‘lying’!! !